“He’ll come. 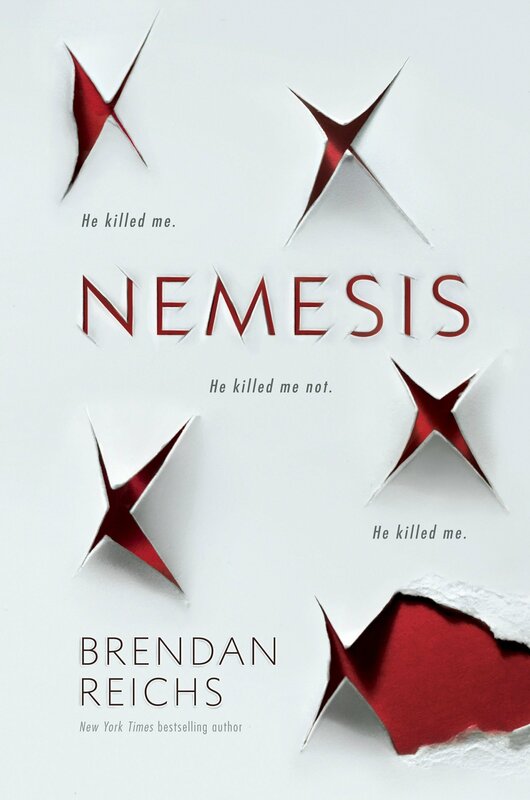 And when he does, I’ll die.” Nemesis was the first book I’d read written by Brendan Reichs and I didn’t know what to expect when opening the book to the first page. What I found was nothing like what I’d read before. The first person perspective made the experience of being murdered all the more real and was the beginning of a nonstop, action-packed book. Though Reichs’ style of writing is more simplistic than others I’ve read previously, he compensates for this by having a crazy storyline, packed with twists and turns, and changing alliances. In Nemesis, strangers join together in order to survive and friends turn on one another. Betrayal, intrigue and mystery keep the reader turning pages like a maniac. Brendan Reichs presents a different take on this end-of-the-world scenario, where the children of Fire Lake are saved and left to fend for themselves. They wake up to their home being empty of both animals and humans, except for their year group. Order and leadership are discussed and argued over. Though the children have grown up together, trust is frail among them. The disagreement ends in bloodshed. However, they stop arguing when they find out they can’t die, they respawn in the valley. What follows kept me up at night, reading away. Reichs book shows the frightening prospect of a world without any leadership or government, where it’s every man for himself. However, he also highlights the trust bonds that are formed in dark times when people with conflicting interests band together in order to survive. Within the book are many strong characters, each with complex morals and differing alliances. The way in which they interact sets the reader on edge as most of their conversations end with gunfire. The story continues as the year group, after forming into teams with those who they trust to keep them alive, ransack the valley for food and supplies, ambush other enemies, kill some of their classmates and set fire to a few buildings; all the while the characters and the reader question everything. About the reviewer: Dana Ohmenzetter was highly commended in the Hunter Writers’ Centre/Compulsive Reader review competition.